– Leading Deeper’s sales drive in the region by taking care of distribution and sales channels. – Constantly innovating in order to find new sales channels and retail chains, and even chasing fishing stars in the region. – Coordinating the activities of our pro-staff team, generating promotional content and managing regional social media accounts. – Attending exhibitions and other targeted events abroad where you will help to present Deeper Sonar and its commercial possibilities. – In collaboration with the marketing and sales teams, formulating new ways for Deeper Smart Sonars to conquer the world. – As an Export Sales Manager you will be reporting to a Regional Sales Manager. – Native-level Polish and fluent English, as those will be your primary working languages. – Experience in international business development or export sales, with results that you are proud of. – Proven negotiation and communication skills. – An organized and results-oriented approach coupled with the ability to handle unexpected situations. – The ambition to generate strong earnings by conquering foreign markets with an innovative product from Lithuania. – An attractive compensation package. – The opportunity to both gain experience working in the Polish market and at the same time to be part of a worldwide export sales and brand development team. – The opportunity to develop your skillset working alongside experienced specialists. – The chance to be involved in the whole product life cycle, not just B2B sales, because our company works on everything from brand development through to sales to end-users. – The opportunity to travel frequently attending exhibitions and going on fishing trips and much more. Please send your CV in English, to career@deeper.eu. 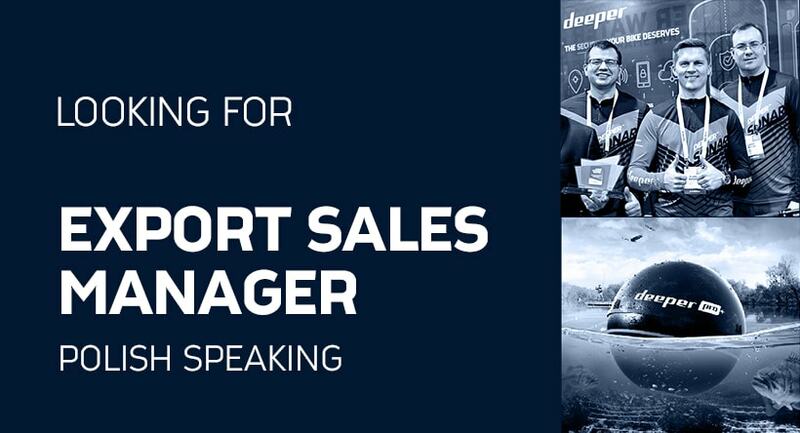 Please use the subject line “EXPORT SALES MANAGER (Polish speaking)”. Please note, only candidates selected for an interview will be contacted.